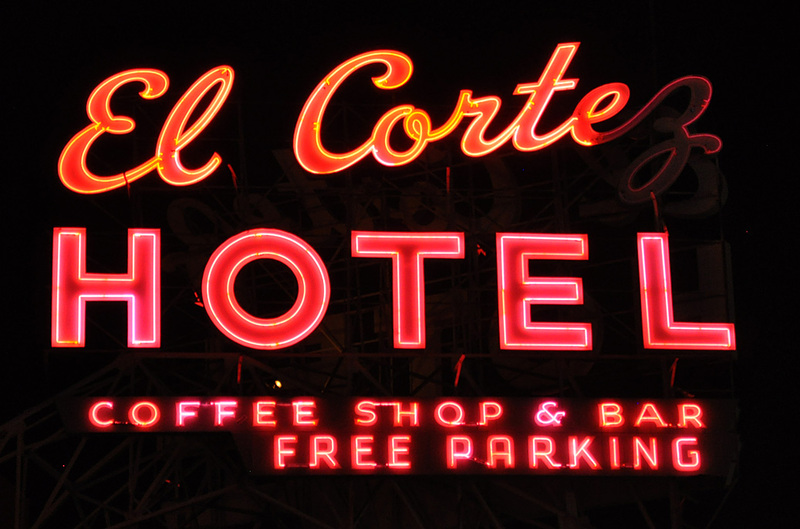 This parking sign was originally installed in Las Vegas. It originally read Last Frontier Village which was a Western themed tourist attraction next door to the Hotel Last Frontier. I believe it opened in 1942. 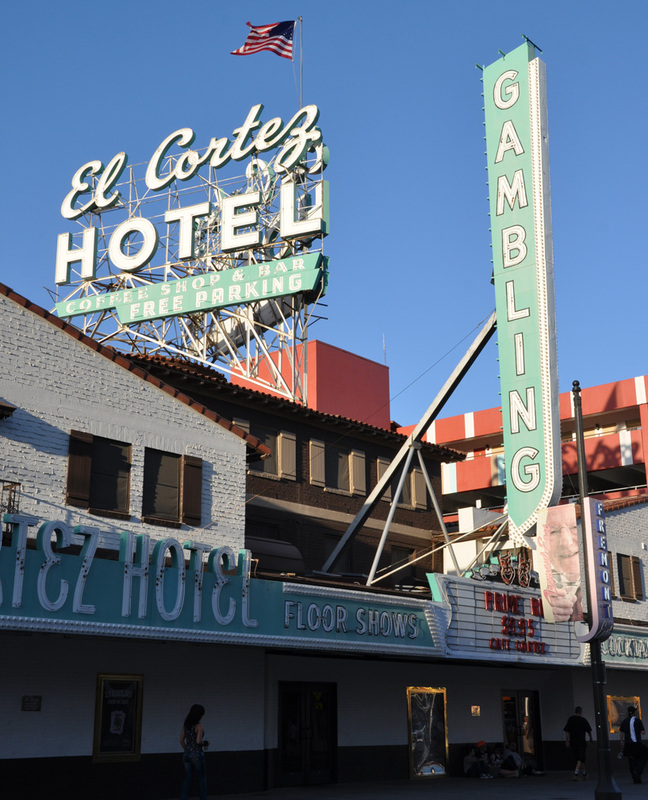 In 1950, the Silver Slipper Gambling Hall, originally named the Golden Slipper, opened next door. 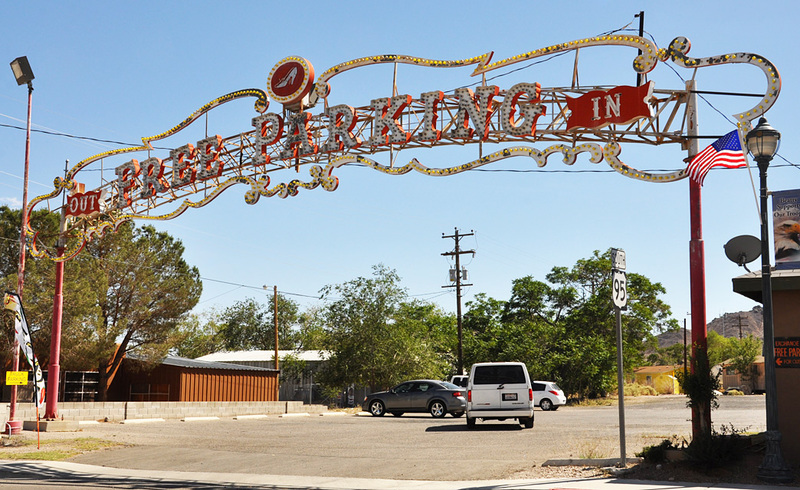 After the Last Frontier Village closed, the sign was apparently adapted for the Silver Slipper's parking lot. 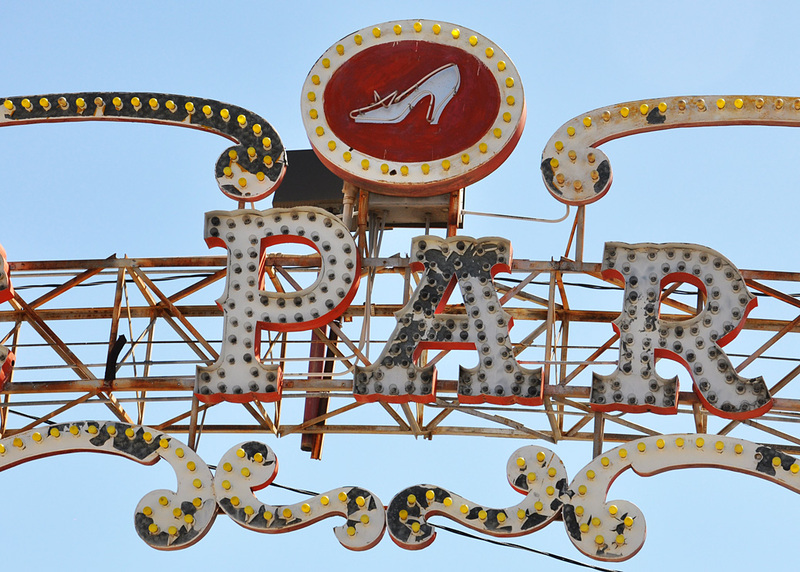 A slipper graphic was added to the top center of the sign. This sign was removed and in storage in a sign yard. 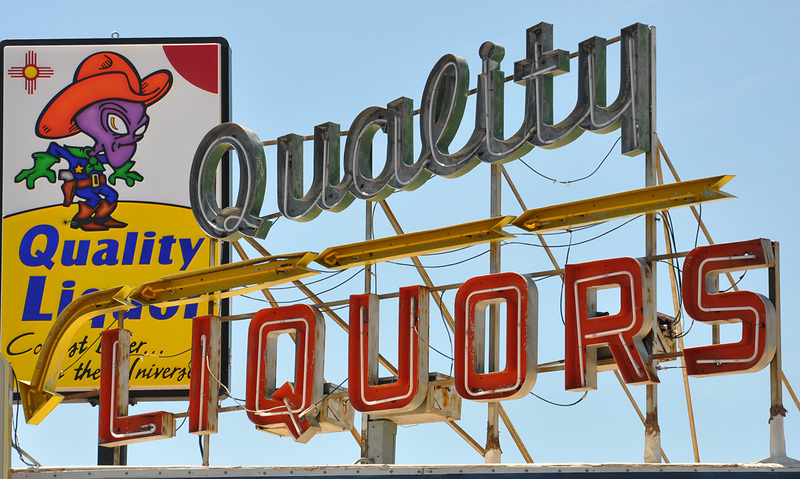 The owner of the Exchange Club in Beatty came to Las Vegas to have a sign made and decided to take this one as well. The Exchange Club closed but the sign remained. In 2018, the sign was knocked to the ground during strong winds. I don't know if there are plans to reinstall it. For more, see this website. The Wells Chalet Bar & Casino was badly damaged in an earthquake in 2008. It did not reopen. 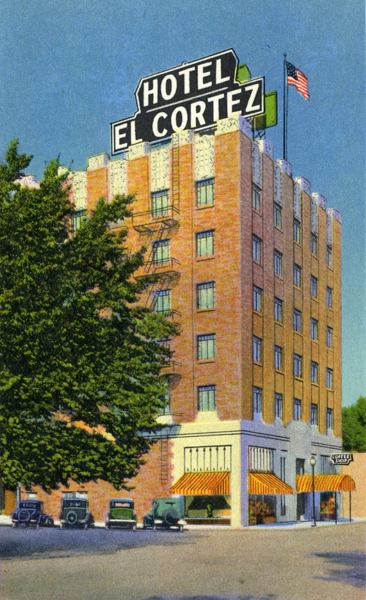 The building was demolished and the sign was gone by 2018. 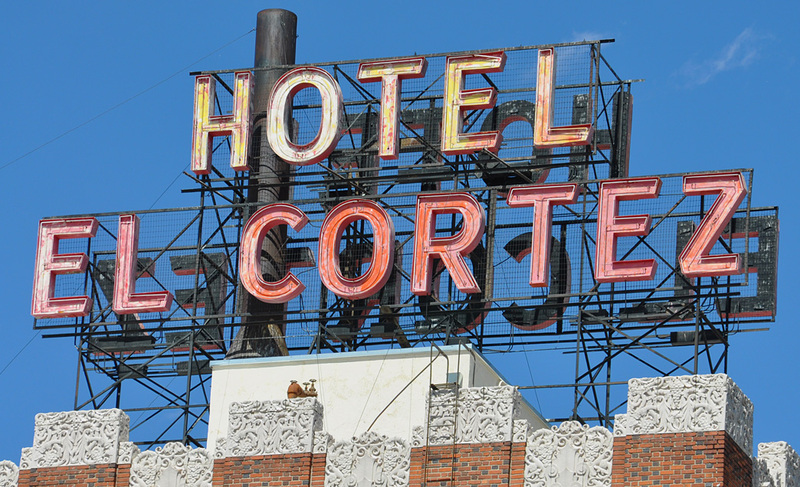 The Kentile Floors sign was built sometime between 1949 and 1954. It was 88 feet tall. 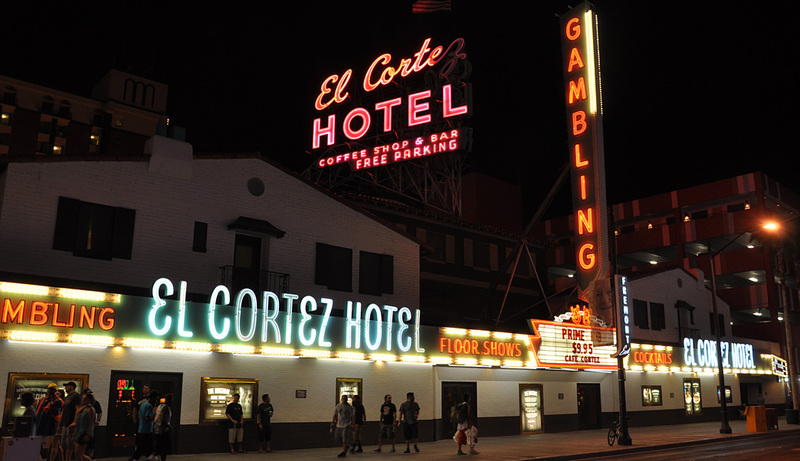 The last time it was lit, which was many years before it was removed, the sign was lit with purple neon. It is not known if that was the original color. 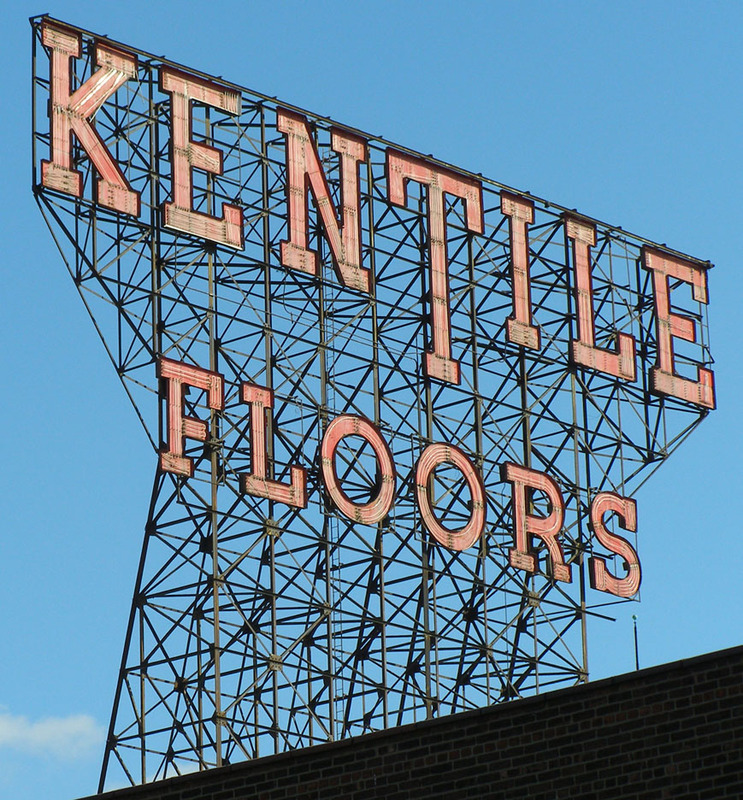 The Kentile floor tile company was founded in Brooklyn in 1898. In 1992, the company declared bankruptcy from lawsuits over the asbestos contained in their tiles. The photo above is from 2009. 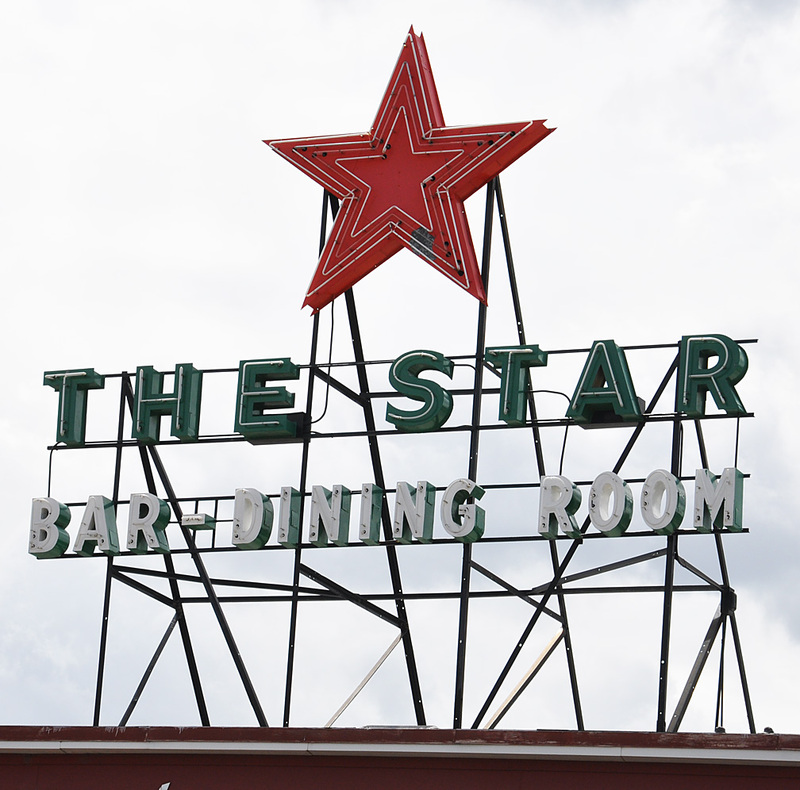 In 2014, work needed to be done to the building and the sign was found to be in bad shape. The steel scaffolding supporting it was rusted and crumbling. The sign and scaffolding were removed. 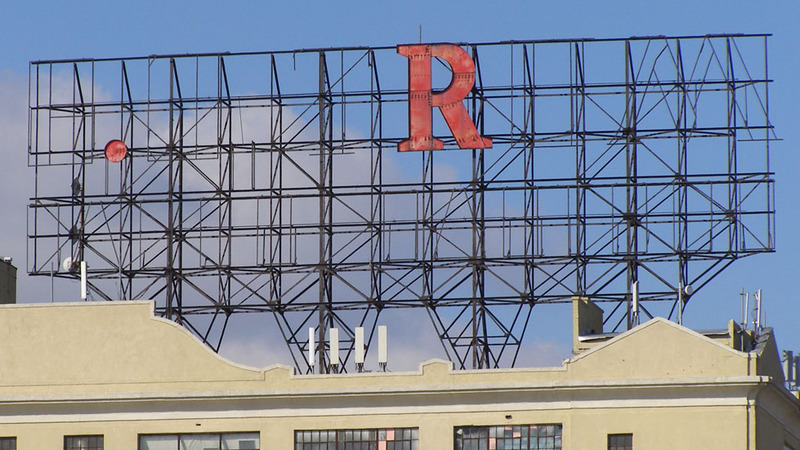 The letters were saved and donated to the Gowanus Alliance. It is hoped that the letters will be displayed somewhere in the future. There was an identical sign in Chicago, IL which was removed in 2013. I don't believe there were any others like these. For more, see this website. 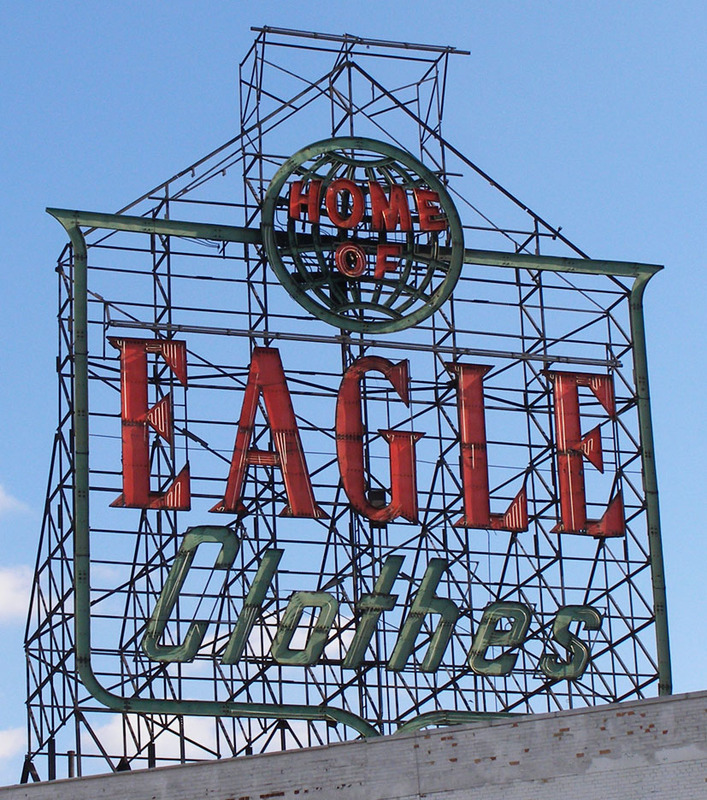 The Eagle Clothes plant opened in 1951 and this sign was installed then. The company filed for bankruptcy in 1989. U-Haul has occupied the building since then. In 2013, the company announced that it was adding two floors to the top of the building. This sign was removed at that time. 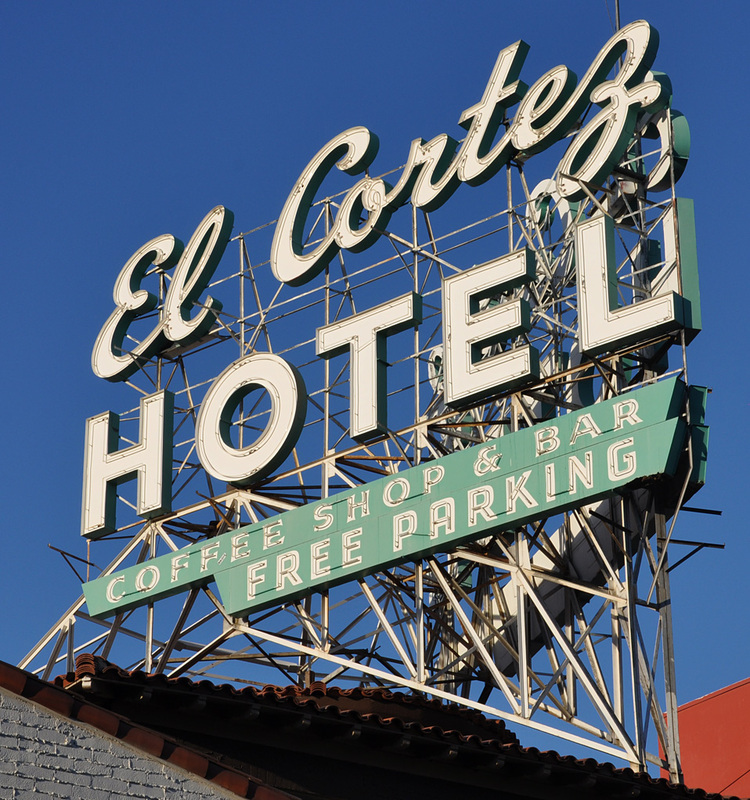 Part of the sign may be integrated into the building's addition. 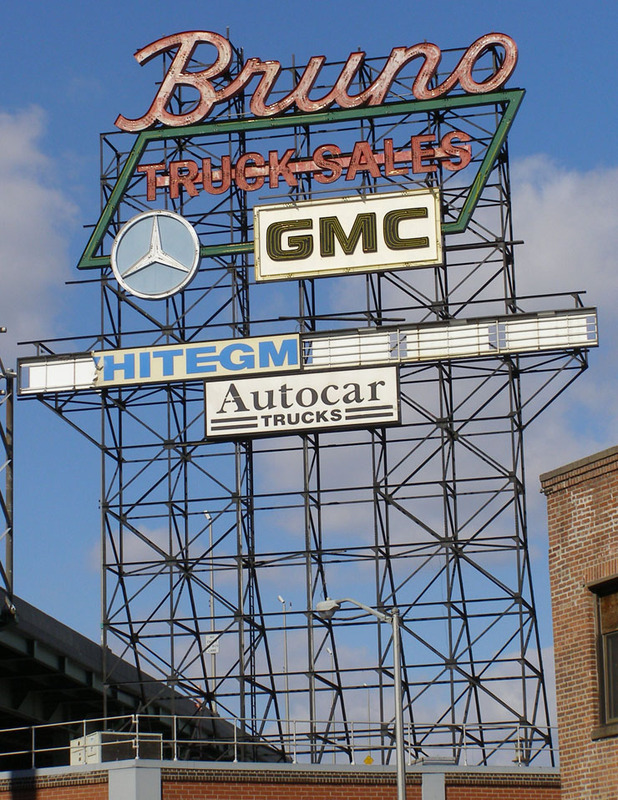 However, it is believed that the sign was scrapped. This photo was taken in 2009. For more, see these websites: 1 and 2. 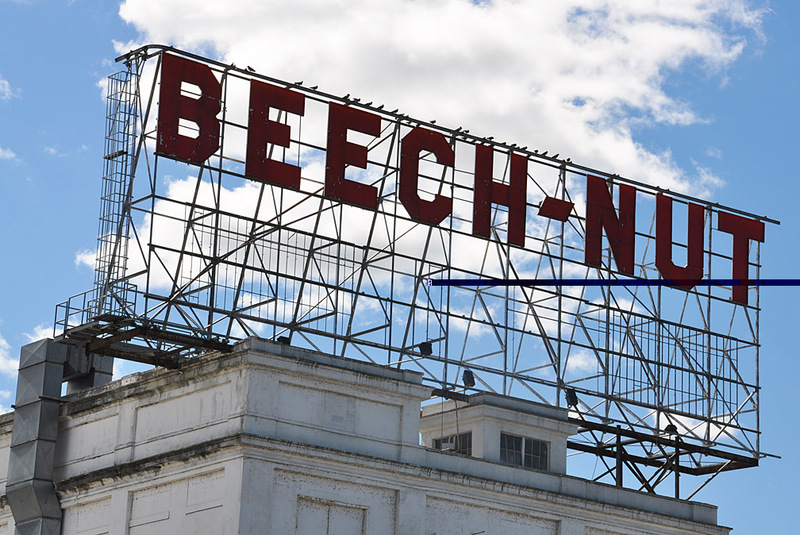 Beech-Nut opened its production facilities in Canajoharie in 1891. At that time, the company produced smoked ham and bacon. In 1931, they began producing baby food. In 2010, the company moved to Florida, NY. 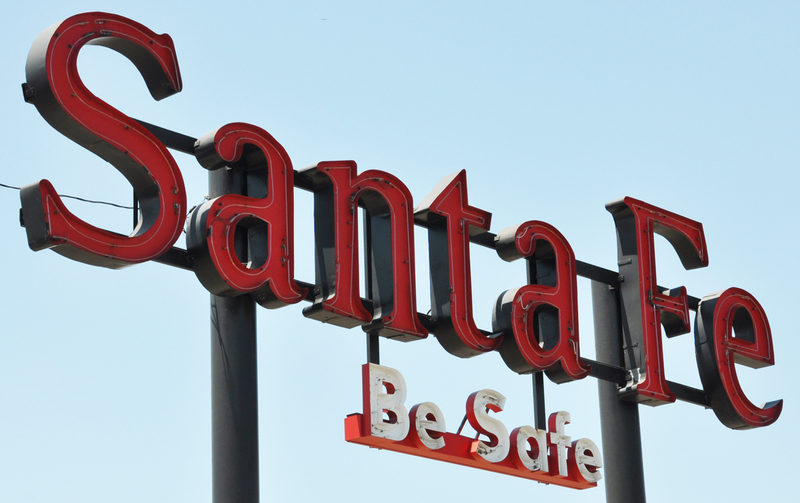 In 2013, this sign was scrapped. For more, see this website. 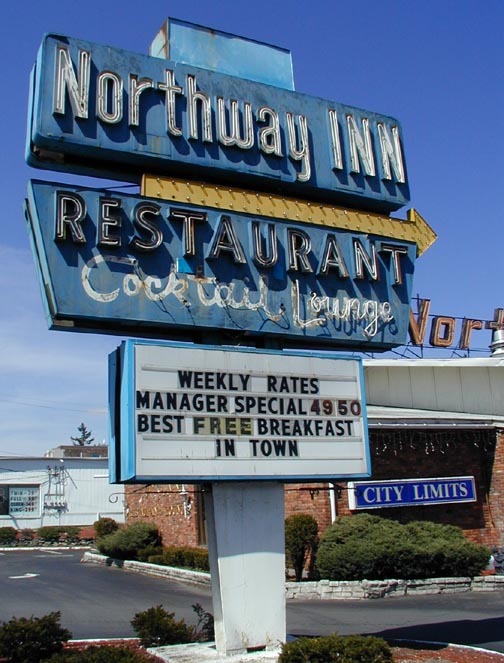 The Northway Inn was built in 1960. These photos are from 2001. 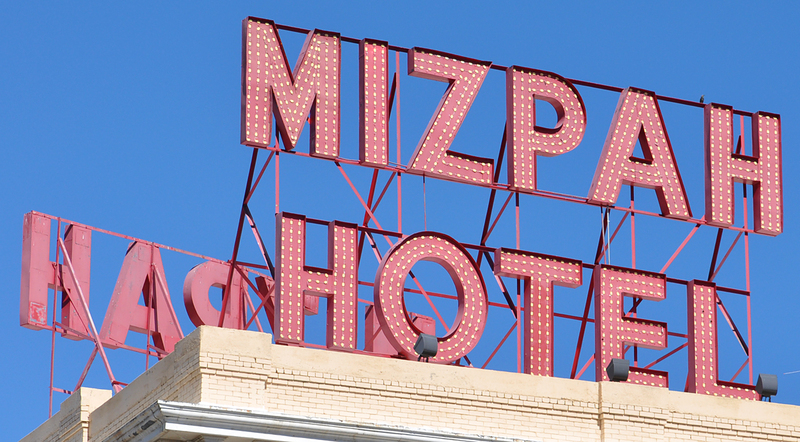 By 2010, the motel and signs were gone. 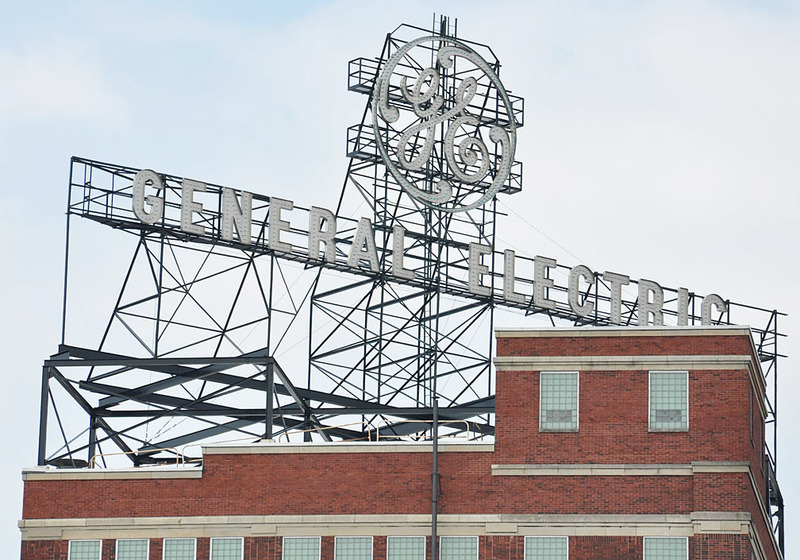 This immense General Electric rooftop bulb sign in Fort Wayne was erected in the late 1920s. It was being refurbished in 2009 when the photo at the left was taken. The second photo is from 2010. GE closed this facility in 2015. The sign was removed in 2016 and put in storage. 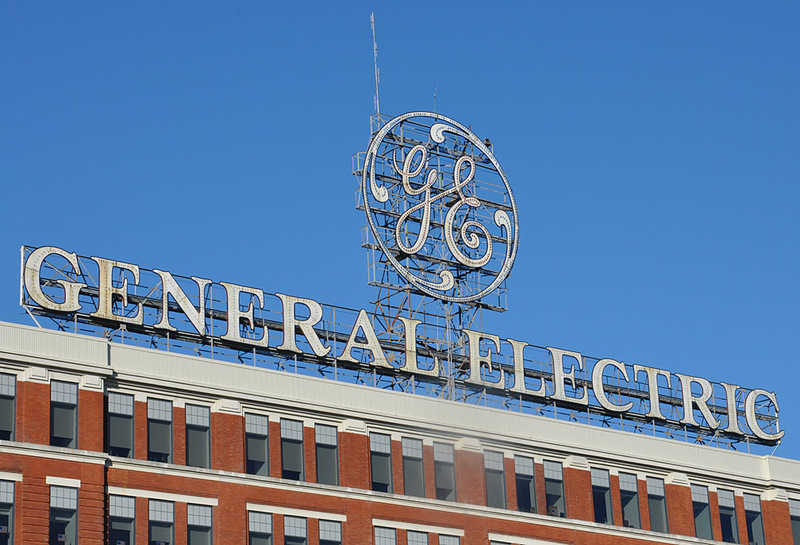 In 2018, as plans moved forward in the redevelopment of the property, General Electric announced that the sign could not be reinstalled unless it was in a courtyard or somewhere hidden from public view. For more, see this website. 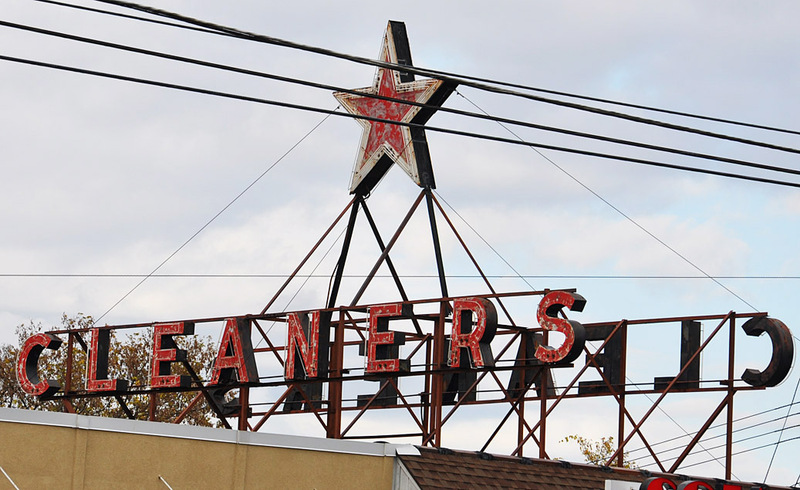 There was a similar sign at the Erie, PA plant which is gone now. 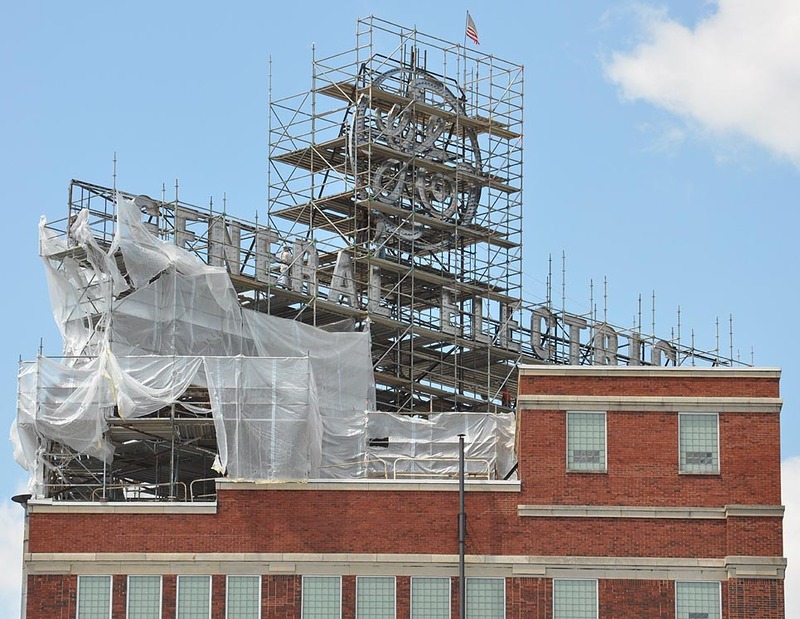 There was another large GE bulb logo scaffold sign in Philadelphia, PA. There were other early, large GE plants in West Lynn, MA and Pittsfield, MA but I have not seen such signs at those in any vintage photos.